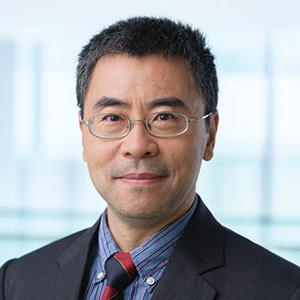 Dehai Liu, Wei Lv, Hongyi Li, and Jiafu Tang (2017), “Bargaining model of labour disputes considering social mediation and bounded rationality,” European Journal of Operational Research, 000, 1-8. Ailun Xiong, Hongyi Li, Hans Westlund, and Youngjian Pu (2017), “Social networks, job satisfaction and job search behaviour in the Chinese labour market,” China Economic Review, 43, 1-15. Jian Chen, Fuwei Jiang, Hongyi Li, and Weidong Xu, (2016), “Chinese stock market volatility and the role of U.S. economic variables,” Pacific-Basin Finance Journal, 39, 70-83. Dehai Liu, Hongyi Li, Weiguo Wang, and Chuang Zhou (2015), “Scenario forecast model of long term trends in rural labour transfer based on evolutionary games,” Journal of Evolutionary Economics, 25. Yuan Fang, Guoda Gu, and Hongyi Li (2014), “The impact of financial development on the upgrading of China’s export technical sophistication,” International Economics and Economic Policy. Dehai Liu, Jing Huang, Hongyi Li, and Weiguo Wang (2013), “Types of stable network structures based on exhaustive search,” Social Networks, 35(1), 124-129. Dehai Liu, Hongyi Li, Weiguo Wang, and Yucheng Dong (2012), “Constructivism scenario evolutionary analysis of zero emission regional planning: A case of Qaidam Circular Economy Pilot Area in China,” International Journal of Production Economics, 140(1), 341-356. Weiguo Zhang, Junhui Fu, Hongyi Li, and Weijun Xu (2012), “Coordination of supply chain with a revenue-sharing contract under demand disruptions when retailers compete,” International Journal of Production Economics, 138(1), 68-75. Liutang Gong, Hongyi Li, and Dihai Wang (2012), “Health investment, physical capital accumulation, and economic growth,” China Economic Review, 23(4), 1104-1119. Guiqing Zhang, Yinfeng Xu, Yucheng Dong, and Hongyi Li (2012), “Managing reward and risk of the newsboy problem with range information,” European Journal of Industrial Engineering, 6(6), 733-750. Yong Zhang, Weiguo Zhang, Weijun Xu, and Hongyi Li (2011), “A risk-reward model for the on-line leasing of depreciable equipment,” Information Processing Letters, 111(6), 256-261. Weidong Xu, Hongyi Li, and Chongfeng Wu (2011), “A robust general equilibrium stochastic volatility model with recursive preference investors,” Annals of Economics and Finance, 12(2), 217-231. Weidong Xu, Chongfeng Wu, and Hongyi Li (2011), “Accounting for the impact of higher order moments in foreign equity option pricing model,” Economic Modelling, 28(4), 1726-1729. Weidong Xu, Chongfeng Wu, and Hongyi Li (2011), “Foreign equity option pricing under stochastic volatility model with double jumps,” Economic Modelling, 28(4), 1857-1863. Guiqing Zhang, Yucheng Dong, Yinfeng Xu, and Hongyi Li (2011), “Minimum-cost consensus models under aggregation operators,” IEEE Transactions on Systems, Man, and Cybernetics—Part A: Systems and Humans, 41(6), 1253-1261. Dehai Liu, Weijun Xu, Hongyi Li, Weiguo Zhang, and Weiguo Wang (2011), “Moral hazard and adverse selection in Chinese construction tender market: A case of Wenchuan earthquake,” Disaster Prevention and Management, 20(4), 363-377. Weijun Xu, Weidong Xu, Hongyi Li, and Weiguo Zhang (2010), “A study of Greek letters of currency option under uncertainty environments,” Mathematical and Computer Modelling, 51(5-6), 670-681. Weidong Xu, Chongfeng Wu, Weijun Xu, Hongyi Li (2010), “Dynamic asset allocation with jump risk,” Journal of Risk, 12(13), 29-44. Liutang Gong, Hongyi Li, Dihai Wang, and Heng-fu Zou (2010), “Health, Taxes, and Growth,” Annals of Economics and Finance, 11(1), 73-94. Maolin Hu, Weijun Xu, and Hongyi Li (2010), “Searching for a line with fixed distance and slope set in the plane,” Information, 13(1). Hongyi Li and Liang Huang (2010), “The competitiveness of Hong Kong’s travel industry: a dynamic shift-share analysis,” Tourism Economics, 16(3), 665-684. Yucheng Dong, Yinfeng Yu, Hongyi Li, and Bo Feng (2010), “The OWA-based consensus operator under linguistic representation models using numerical indexes,” European Journal of Operational Research, 203(2), 455-463. Weijun Xu, Weidong Xu, Hongyi Li, and Weiguo Zhang (2010), “Uncertainty portfolio model in cross currency markets,” International Journal of Uncertainty, Fuzziness and Knowledge-Based Systems, 18(6), 759-777. Weidong Xu, Chongfeng Wu, Weijun Xu, and Hongyi Li (2009), “A jump-diffusion model for option pricing under fuzzy environments,” Insurance: Mathematics and Economics, 44(3), 337-344. Hongyi Li, Fang-fang Tang, Liang Huang, and Fiona Song (2009), “A longitudinal study on Australian online DVD pricing,” Journal of Product and Brand Management, 18(1), 60-67. Hongyi Li, Xiangdong Wei, and Danyang Xie (2009), “Competitiveness of the Hong Kong Economy,” China Economic Review, 20, 573-586. Hongyi Li and Liang Huang (2009), “Health, education, and economic growth in China: Empirical findings and implications,” China Economic Review, 20, 374-387. Yucheng Dong, Yinfeng Xu, Hongyi Li, and Min Dai (2008), “A comparative study of the numerical scales and the prioritisation methods in AHP,” European Journal of Operational Research, 186, 229-242. Yinfeng Xu, Weijun Xu, and Hongyi Li (2007), “On the on-line rent-or-buy problem in probabilistic environments,” Journal of Global Optimisation, 38, 1-20. Chunqing Li, Yinfeng Xu, and Hongyi Li (2005), “An empirical study of dynamic customer relationship management,” Journal of Retailing and Consumer Services, 12, 431-441. Hongyi Li and Heng-fu Zou (2004), “Savings and income distribution,” Annals of Economics and Finance, 5(2, 245-270. Hongyi Li and Zhijie Xiao (2003), “Block length selection in bootstrapping cointegration regressions using block bootstrap methods,” Journal of Statistical Computation and Simulation, 73(11), 775-790. Hongyi Li and Fu Heng Zou (2002), “Inflation, Growth, and Income Distribution: A Cross-country Study,” Annals of Economics and Finance, 3(1), 85-101. G. S. Maddala, Hongyi Li, and V. K. Srivastava (2001), “A comparative study of different shrinkage estimators for panel data models,” Annals of Economics and Finance, 2(1), 1-30. Hongyi Li and Zhijie Xiao (2001), “Bootstrapping time series regressions with integrated processes,” Journal of Time Series Analysis, 22(4), 461-480. Hongyi Li, Colin Xu, and Heng-fu Zou (2000), “Corruption, income distribution and growth,” Economics and Politics, 12, 155-182. Hongyi Li, Danyang Xie, and Heng-fu Zou (2000), “Dynamics of income distribution,” Canadian Journal of Economics, 33(4), 937-961. Hongyi Li and Zhijie Xiao (2000), “On bootstrapping regressions with unit root processes,” Statistics and Probability Letters, 48(3), 261-267. Hongyi Li (2000), “The Power of Bootstrap Based Tests for Parameters in Cointegrating Regressions,” Statistical Papers, 41,197-210.